Vigers Hall – Wallabrook, Nr. Tavistock, Devon. The historic Vigers Hall is situated on the outskirts of Tavistock in Devon. It was built sometime during the early 1800’s by Henry Vigers who was born in Surrey. 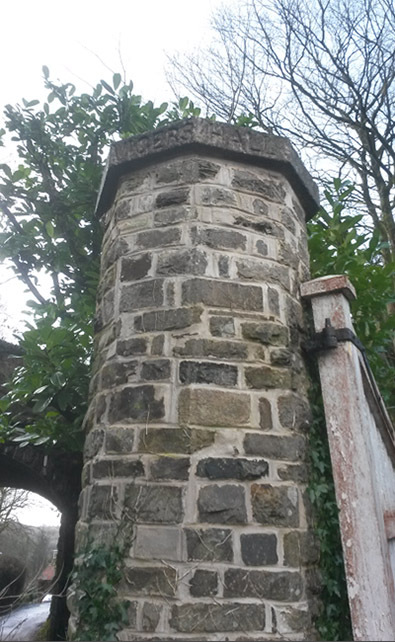 One of the octagonal stone entrance piers had been completely knocked over by a delivery lorry. All the original stone was cleaned up and re-used to build it all back together and then the granite pier cap was set back on top. 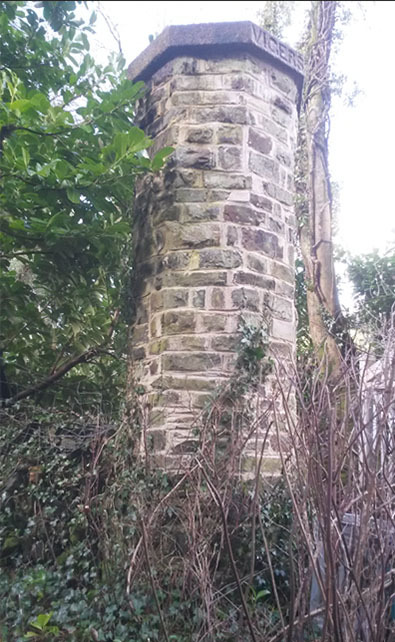 All the rebuilding work consisted of using a traditional hydraulic lime mortar. 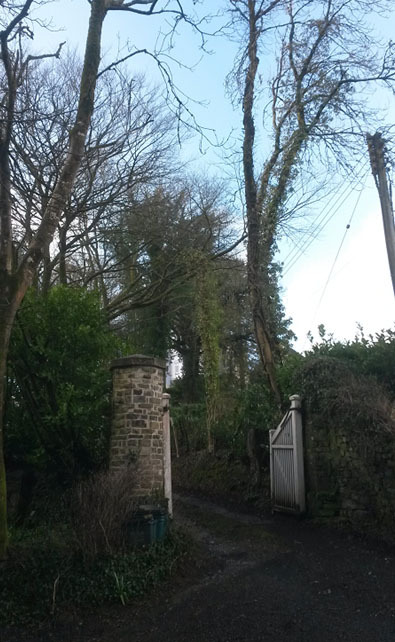 Once completed the original gate was placed into position on its hangers.